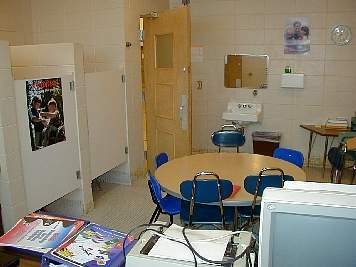 This room, designed to accommodate body wastes, has little to recommend itself as a classroom designed for filling young minds. 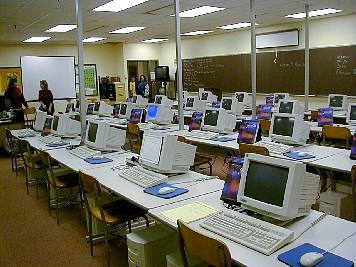 With limited means and facilities, and a declining enrollment, the school system makes the best use of what it has. 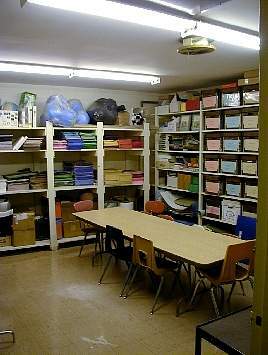 Storage room classroom, beats nothing! These single pane windows waste many heating dollars to thaw the frozen North. They present an obstacle to fleeing children, should an emergency evacuation be necessary. Hardly a convenient and	safe exit design for small children. Fairview school steam boilers. Steam heat is obsolete, expensive and deteriorates heating plumbing faster than hot water. 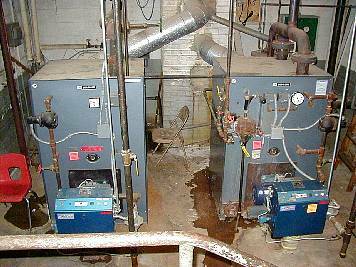 The evident leak from one boiler requires a limited boiler disassembly, repair and reassembly, from an out of town service business; bonded, insured and state certified for such work. 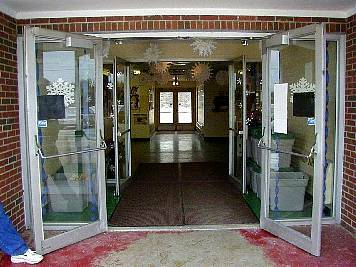 Fairview school entrance. No security or monitoring technology. A "take-a-kid" invitation, to the demented. A multipurpose physical education, cafeteria, and auditorium facility. As a compromise it cannot support any of the main functions, well. Changes in legislation, concerning equal opportunity for physical education and intermural sports, for girls and boys, has made another full size community gym almost a necessity, now. 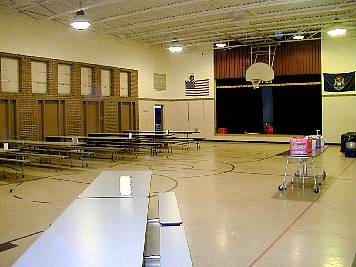 School consolidation would provide the community a second full sized gym. 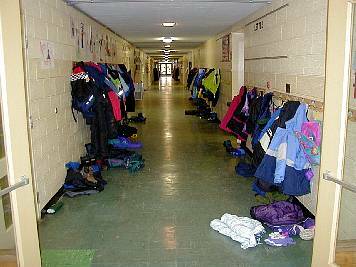 No lockers means no property security, and safety hazards in student congested hallways. 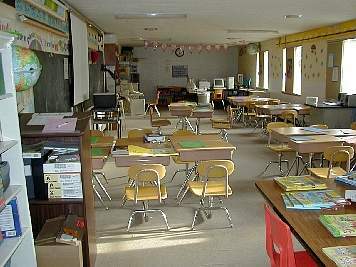 Mutual contact of childrens' property may spread certain diseases and parasites. 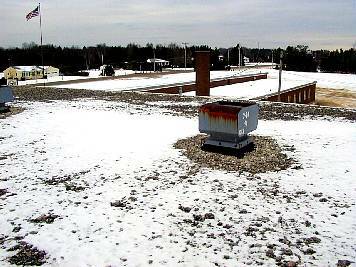 "Acres" of flat roof approximately 20 years old, with very little insulation. It is still in good shape; but for how long? 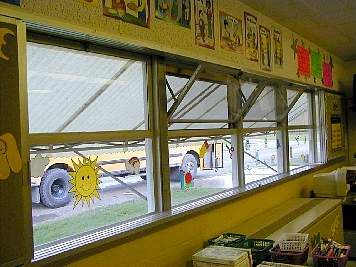 Forseeable reroofing and major roof insulation costs must be figured into the economics of renovating, compared to the costs of rebuilding at Lakeside.